Welcome to our Boulder Community of Healing Professionals! You are a psychotherapist, bodyworker or alternative healthcare practitioner who enjoys professional autonomy AND being part of a supportive team. You value both individual and collective health. When you are nurtured, supported, and creatively alive, you give your best care to your clients, grow financially, and love your work even more. This is what we are committed to providing at The Boulder Healing Hub. We offer affordable monthly RATES in our beautifully outfitted shared Counseling & Bodywork offices. We have plenty of availability! fill out our practitioner inquiry form and we'll be happy to ANSWER YOUR QUESTIONS AND show you around! ENJOY growING your private practice and beING a part of our thriving coworking team of wonderful Boulder practitioners. Join our community to enjoy the best of both worlds! Being a Counselor at the Hub comes with a long list of benefits, including our optional peer supervision group, workshop/group therapy space, and gorgeous views of sky and greenery from your practitioner's chair! We welcome both new and seasoned Counselors of various backgrounds to our beautiful professional spaces. 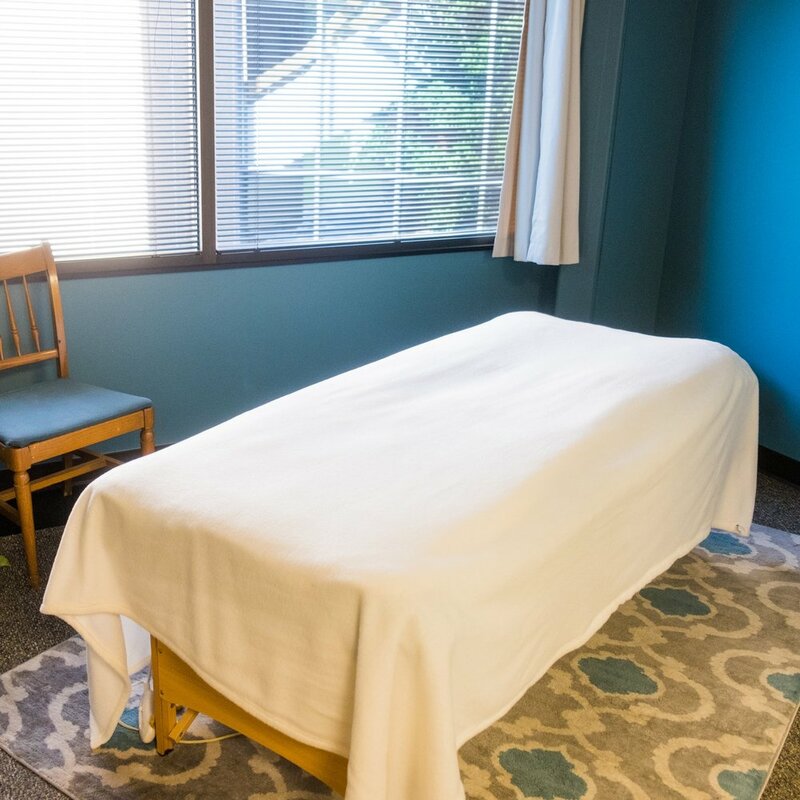 Every shared Bodywork room at the Hub has been thoughtfully designed and fully equipped with high quality tables, heating pads, blankets & pillows, adjustable stools, thermal curtains, speakers for your smart phone and more. There is plenty of storage for your personal professional supplies, and a break room for spending time between clients. At the Hub we are excited about many colors of health care - including naturopathy, acupuncture, energy work, life & career coaching, nutritional counseling, spiritual counseling, and more! Our professional spaces are designed to suit a wide variety of services, knowing that a diversified team creates a truly holistic culture of practitioners. Simplicity! When you use our furnished shared offices, almost everything is taken care of for you so that you can focus on your art. A Community of Practitioners. The Hub hosts regular networking and social gatherings to help members get to know one another — for both professional support and personal connection. Grow your business by building a referral network with diverse practitioners AND benefit your clients by supporting their holistic wellness at the same time! Hub members also get to receive discounted/time trade services from one other, encouraging self-care in what can often be a very selfless and solo career. Marketing and Financial Support. Unlike working for someone else – a larger company or clinic – you get to keep the lion’s share of your income, while still benefiting from the support and camaraderie that comes with being part of a team. You receive online marketing on behalf of the Healing Hub, and are invited to participate in our annual Open House where we invite the larger community to meet you, try your work, and learn about what you do. You also get discounts from cool local Boulder businesses! Join us and be a part of the new collaborative culture! Click the button below to learn more about bringing your practice to the Boulder Healing Hub, or to schedule a tour and meet with us in person! Practitioner Inquiry Form / schedule a tour!